Do you have a home repair, remodel, or landscaping project that has you scratching your head with the details? Your home is likely your greatest investment. You want quality work, done in a timely fashion, with a reasonable cost. Remodeling can be a stressful time in your home. Let us take the stress out of your project and give you back your piece of mind! 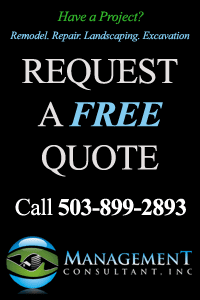 We assist in remodeling and renovation projects in Oregon and SW Washington. With many years of experience and knowledge of the construction industry in the Pacific NW, we have helped local residents gain confidence in getting their home project done correctly and on-schedule. Historically homeowners would depend on a general contractor to take care of their home project. The problem with this is that the general contractor is not always present to represent your best interest - and is only there to mark up the price of your project. In many cases, they are not likely going to do any of the work themselves and will use sub-contractors to work directly on your project. This becomes a problem because a contractor may not manage the project closely and will only be in charge of the actual bid of the project. Sometimes, your general contractor has all of the work from the sub-contractors bid directly to him - so you have no control of the cost and very likely no idea who will be working on your project, how long they will be there or what the content of the contract is between the general contractor and sub-contractor. You could be paying anywhere from 25% to 100% mark up (or more) just to have a general contractor keep you blinded from the realities of what is really going on and having no control over your project or budget. The same can be said for contractors who may underbid on a project. When a contractor underbids, you run into the risk of receiving poor work, bad customer service, low-quality materials and/or contractors who may cut corners on building codes. This will not only cause you to redo your project, but the hassle of going thru a laywer to take legal action. There are also potential health and safety hazards if the project is not inspected correctly after it is completed. 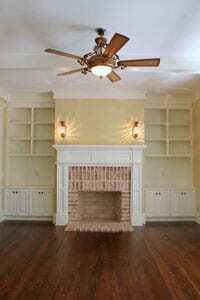 We strive to keep homeowners updated on their home remodel or renovation project. Working with a contractor can be difficult - sometimes it may seem they are too busy or may seem intimidating to ask on the status of a project. As a consultant to you, we work with your contractor to make sure deadlines are met and that they are fulfilling their portion of the contract. We believe every homeowner has the right to know the status on their home project and have helped Oregon and Southwest Washington residents feel empowered by letting them know their construction project is being carefully watched and on-schedule. If you are a homeowner in the Oregon and SW Washington area that would like a home remodel, repair or renovation - we know you will feel safe having a consultant with years of experience in the industry who you can trust. We will make sure your home project will be carefully watched over and professionally managed. If you need a quote for a home project, need assistance in planning for a project or have questions feel free to contact us. Call 503-899-2893 or Email Us today. We've all heard horror stories about contractors and homeowners. Without a third-party consultant, both parties are at risk - but homeowners usually have the higher risk because both their home and money are on the line. Homeowners lose out because they either lack the proper knowledge of their rights -OR- they allowed the contractor to be in total control. Below are some myths regarding construction contracting. We hope local homeowners in Oregon and SW Washington can use this information to prevent financial, physical and emotional damage they may receive from their contractor. FALSE! A contractors license is only about the laws surrounding construction! You have to follow the lead of the General Contractor. They have the control. FALSE! Its your home! The contractor works for YOU! There is no way to protect your home/project completion. FALSE! 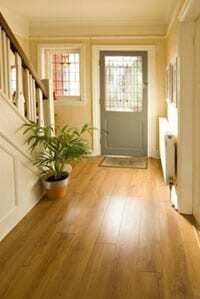 There are special insurances available to protect you and your home! There are also liquidated damages that can be written into your contract. Contractor gives you a bid that has some contract verbiage, though it is only a bid and protects only the contractor! We protect your best interests! We offer a variety of services to you that can be customized to suit your project. There is no project to big or too small! We will ensure that your project will be done on-schedule. Your contractors will pay for wasted time, not you! If you have a current or future home project, don't hesitate to contact us and we will help you start your project without the headache and stress of questions. 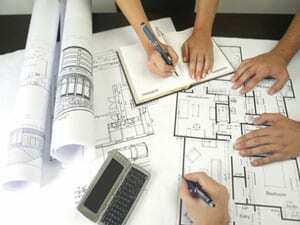 We will pinpoint expected costs, planning and what to expect for your custom home project.